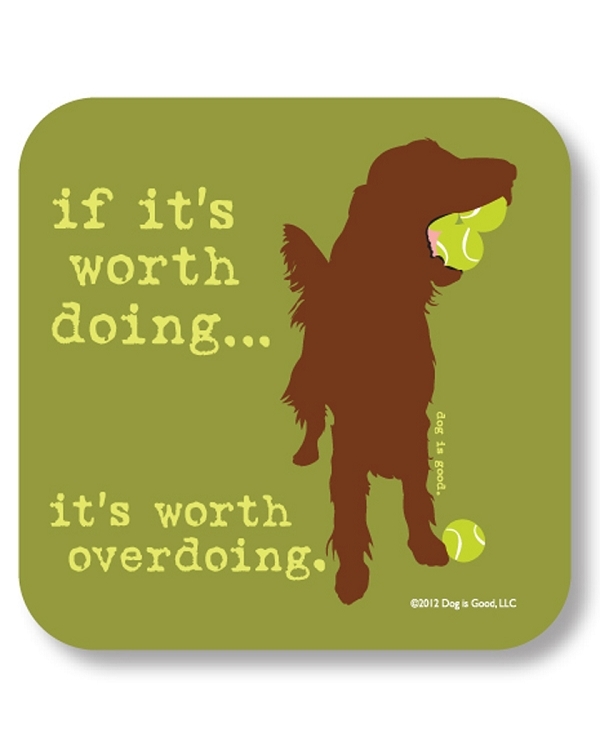 Dog is Good® Drink Coasters are printed with motivational sayings mixed with humourous dog art. The absorbent dog art coasters are manufactured in the USA and made of absorbent, pliable and unbreakable popular neoprene material. Stronger than rubber, the coasters protect furniture from wet glasses. The coasters measure 4 inches x 4 inches. Collect all of the dog sayings! These are sure to make you and your friends smile. Great gift for your dog lover friends. Easy to clean with soap and water.